Ricoh Woodbine Mile 2014; Eleven Ready For A Spot In The Breeders’ Cup Turf Mile: The Ricoh Woodbine Mile (GI) is held annually in mid September at Woodbine Racetrack on the famous E.P. Taylor Turf Course in Toronto, Canada and is for horses 3-years-old and up running one-mile on the grass for a purse of $1,000,000. This race is a qualifier for the 2014 Breeders’ Cup Turf Mile with the winner getting a paid spot in the gate as part of the Breeders’ Cup Challenge series. The Ricoh Woodbine Mile is a “Win and You’re In” Breeders’ Cup Challenge race that takes place at Woodbine on Sunday, September 14, 2014. Photo: Wise Dan wins the 2013 Ricoh Woodbine Mile. 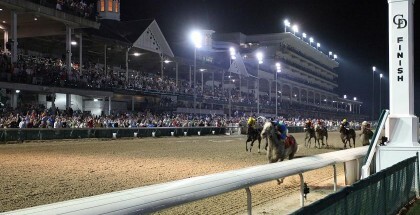 The 2014 edition is set for this Sunday, September 14th and is the 11th race of the day on a card of 11 with a start time of 6:13 EST. 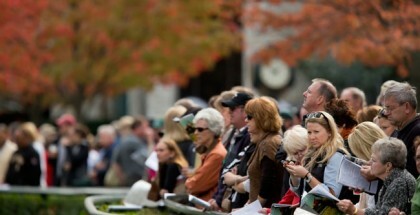 There are two other stakes races the (GI) Northern Dancer Turf Stakes, Race #6 and the (GII) Canadian Stakes, Race #9. The first female to win this race in 13 years was Ventura in 2009 and in the process set the record time of 1:32.04, which was broken last year by Wise Dan. Leroidesanimaux, the sire of Animal Kingdom, set the record for the largest margin of victory at seven and three-quarter lengths in 2005 while carrying the highest weight of any winner in the race’s history at 124 pounds. The fastest recorded time belongs to Wise Dan set last year and is also the track record. He also has the claim-to-fame of owning the most wins with two back-to-back in 2012 & 2013. The most wins by a jockey are for John Velazquez with 4. For the trainers, Neil Drysdale owns 4 while Morton Fink and Robert Frankel are tied with 3. Last weekend we had a little success with Sigi picking the winner of the 2014 Pocahontas Stakes with filly Christina’s Journey and myself picking the winner of the Iroquois Stakes with Lucky Player. However, we both missed hitting our plays. We’ll see how these two babies move forward in their respective Breeders’ Cup races. This is one tough group of guys and after jostling quite a few around, I landed on the Brian Lynch trio so lets take a look. 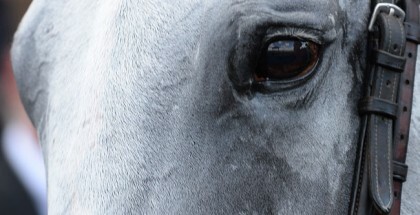 My top pick to win is the son of Badge of Silver (same sire as Silver Max) Silver Freak. He is stepping-it-up rather large here from some claiming races and has a lot of speed. Last out on August 6th at Saratoga he won going a mile on the inner turf by 2 1/2 lengths with a time of 1:33.58, just .16 seconds off the track record, leading gate to wire. He broke his maiden at Woodbine second time out going 1 1/16 miles on the synthetic, which was off-the-turf that day. He seems to do well at two-turns so we’ll see again how he does with one-turn at Woodbine. He gets Velazquez up who has won this race 4 times and did the past two on Wise Dan. He gets post #4 and I like him, a lot. I also really dig the fourth place finisher in the (GII) Fourstardave, the Artie Schiller son Dorsett. He is coming in third off the claim from the Michael Stidham barn and third off a long layoff. This Brian Lynch trainee looks to be improving in speed figures and could make a very nice move here to win. He also gets a local hot jockey as of late Luis Contreras and they exit stall #6. Grand Arch, a son of Arch, has never been worse than 3rd in 15 races. This 5 year-old has a strong affinity for the Woodbine E.P. Taylor Turf Course as out of 7 races on it, he has 3 wins, 1 second and 3 thirds. Last out August 9th he logged his career-best Beyer figure, after losing by a neck to Seek Again, going a mile at Saratoga in the Fourstardave (GII), fighting all the way to the wire. Prior on June 22nd he won the King Edward going a mile on this track where he rated early, made a late drive to win by a 1/2 length. He has really relaxed as he’s aged and is in prime form ready to rumble with Davy Moran up again from post # 11. There is a lot of speed in this race and I’m hoping Velazquez can get Silver Freak to relax , rate and win. This is going to be a really tough and fun race with whomever wins facing Wise Dan in the 2014 Breeders’ Cup Turf Mile. I’m siding with my top two Brian Lynch picks to hit the board first or second. I really like Grand Arch but not so much his outside post and after that huge run-in with Seek Again, could bounce a little here. If I’m wrong, it won’t be the first time. I say without Wise Dan in this race, go big or go home. 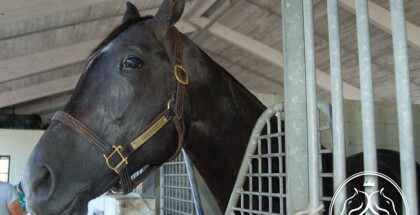 In my opinion, Bobby’s Kitten is a great miler and he looks to demonstrate that in the Woodbine Mile. He’s facing some speedy horses but he has the class to win this race. He now has Joel Rosario in the irons, the jockey who rode him in his debut. This time I’m just playing #8 Bobby’s Kitten to win and place. Thanks Sigi for taking the time to add your pick and play. Safe ride and good luck to everyone over the weekend.